Hampton Inn is a chain of hotels belonging to Hilton Worldwide. The chain has locations throughout the United States, Canada, the United Kingdom, Europe, India, and Latin America. Most of the hotels are targeted to travelers on a budget. You can find a link to get a Hampton Inn application at the bottom. The brand was founded in 1984 by Promus Hotel Corporation as a division of Holiday Inn. Hilton Worldwide acquired Promus in 1999, becoming the parent company to Hampton Hotels in the process. Hampton Inn, which is headquartered in McLean, Virginia, now has more than 2000 locations around the world and employs more than 46,000 people. The majority of the hotels are franchises. The chain serves its communities through its Hands-On Hamptonality program. Employees of the company perform volunteer services like helping out at Boys and Girls Clubs. Employees have donated over $2.5 million and volunteered over 10,000 hours of their time to local community causes. You can apply for jobs at Hampton Inn at their website. Guests of the hotels can expect free, hot breakfasts, Breakfast Bags for those who don’t have time for a hot meal, and free Wi-Fi. Most locations provide a pool or an exercise room. The company has a 100% guest satisfaction guarantee promising friendly service and clean rooms. Unhappy guests will be refunded. A number of corporate level careers are listed at the website below. Some examples of these jobs include Director of Architecture and Construction Project Management, Senior Director Indirect Sourcing – Americas, Manager Project Supply, Executive Assistant, Contracts Processor, Director of Operations, Director of Digital Content, and Senior Manager Executive of Communications. To browse corporate positions, you should select the all brands option on the search menu. Entry-level and in-hotel positions available include Director of Sales, Engineering Supervisor, General Manager, Van Driver, Guest Service Agent, Breakfast Host/Hostess, Driver, Room Attendant, Laundry Attendant, Housekeeper, Night Auditor, Maintenance, Lead Breakfast Host/Hostess, Sales Manager, Sales Coordinator, Housekeeping Supervisor, Front Desk Supervisor, and Lead Bell Person/Driver/Valet. You can select local hotels during your search. How old do you have to be to work at Hampton Inn? You must be 18 to work at Hampton Inn. Corporate job descriptions list experience and education requirements, but in-hotel positions do not. Be sure to read the responsibilities carefully before you apply for Hampton Inn jobs at the website. Benefits are offered by the company to eligible employees. These include vacation time, reduced hotel room rates for employees and their families, 401(k), educational assistance, and health benefits. Benefits offered vary at different locations. Hotels are open 24 hours and are busiest during week-ends and holidays. Many employees can expect to work the most hours while the general public has time off. Guest Service Agent – A Guest Service Agent greets guests, checks guests in and out of the hotel, takes payments, uses a computer, codes electronic keys, provides a welcome packet, and can answer guests’ questions. Guest Service Agents handle complaints, as well. Pay for this position starts around minimum wage, but can be as much as $13.50 per hour. Housekeeper – As a Housekeeper, you would clean guest rooms and other designated areas, including restrooms, meeting rooms, and public areas. You would greet guests and replenish their room supplies. You would also report any maintenance problems to staff as you find them. Starting pay for this position is minimum wage, but can reach $16.00 per hour. Night Auditor – The Night Auditor goes over the daily financial posts and balances the books. Nightly audits to be conducted include credit card sales and payments for food, beverages, and other supplies. Pay for this position is typically $8.00 to $12.00 per hour. You can read a full job description for this position when you apply online. Director of Sales – The Director of Sales implements marketing plans and supervises employees in the sales department. Responsibilities include meeting with clients and other management teams to promote business and build revenue, analyzing data to increase sales, and hiring and training staff. Salary for this position is around $43,000 per year. What would you do if you realized you’d done something that caused a problem for a guest at the hotel? This company places a high value on the integrity of its staff. Your interviewer wants to hear that you would take responsibility for your mistakes and try to do the right thing. If a customer complains to you about the quality of the food, what would you do? The chain promises guest satisfaction with a money back guarantee. Your interviewer wants to know that you would do everything you can to make sure guests’ expectations of good food, friendly service, and a comfortable stay are being met. Do you think it’s more important to be friendly or efficient? Both are important, but this chain emphasizes friendliness more. Show your interviewer that you are familiar with the company’s core values with your answer to this question. Hampton Inn careers are about hospitality, with a focus on customer satisfaction and comfort. What appeals to you about working in the hotel industry? A career in the hotel industry is ideal for people who are very social and will go out of their way to get others to smile. There are many job opportunities for people with little education or experience who are willing to work hard. What do you look for when you stay in a hotel? Your answer to this question will show your interviewer if you understand what the company wants to provide for its guests when they choose to stay with the chain. 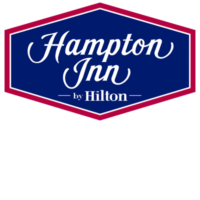 You can fill out a printable application for Hampton Inn at the website. Professional behavior and appearance is very important to this company. You’ll want to create a good first impression of yourself when you interview with this company. You can fill out employment applications at the website, but you will not be able to download application form. Use the direct application provided. Integrity, teamwork, and hospitality are three qualities the company looks for in all of its employees. Prepare for you interview ahead of time by remembering times you demonstrated those qualities in the past. You can apply for Hampton Inn jobs online by visiting the website, browsing job offerings, and filling out Hampton Inn application forms while you’re there. Dependability is another quality expected of employees of the business. Make sure that you are on time and prepared for your interview. If you would like to know how to apply for Hampton Inn online, go to the website. You will be able to read job descriptions of any position and fill out a printable application form while you’re there. If you wish to use the free application process available through the website, visit the site through the application links below. You will not need your resume to complete an online application with the chain. Just select a position, give your assent to their privacy agreement, and fill out an application form.